Lately our go-to easy pasta dinner has been Tuscan Chicken Pasta. It is so simple to make, and it is a hearty and delicious dinner. 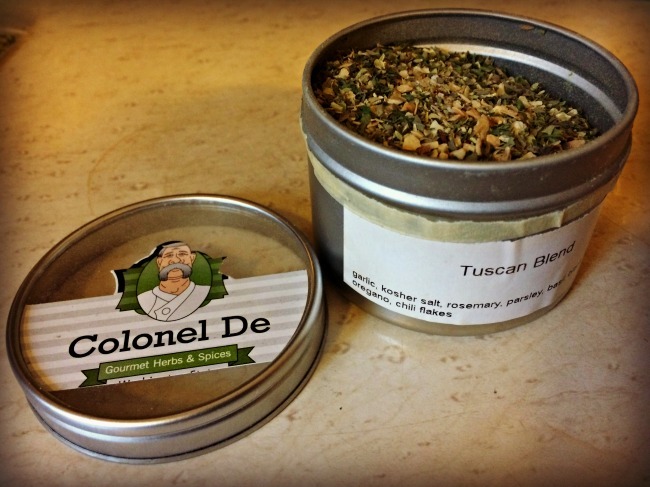 Before you make this recipe you need to get your hands on some of Colonel De’s Tuscan Herb Blend. This stuff is the bomb. 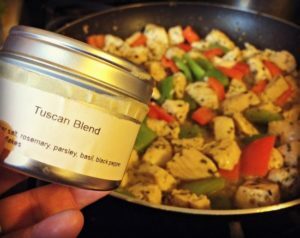 Tuscan Blend is the one spice that I make certain is always in our pantry. We have used it for marinades, pastas and combined with oil to make dipping sauce for bread. 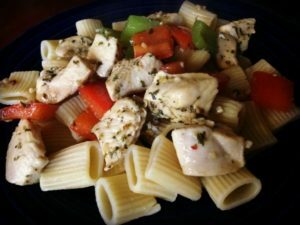 It is a perfect spice blend and we have used it to create a Tuscan Chicken Pasta recipe that the whole family loves. Heat oil over medium high heat and add peppers, cook until they are the desired tenderness, about five minutes. 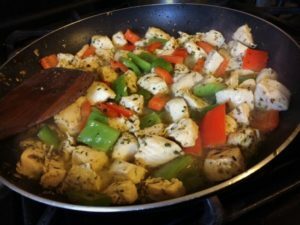 Remove peppers from pan leaving oil to cook chicken. If you need more olive oil drizzle a little in. Heat oil to medium-high heat and then cook chicken for 7-10 minutes, adding in the spices and garlic after 2 minutes. After chicken is cooked through mix the peppers back in and serve over cooked pasta with shredded Parmesan to top. Check out my RECIPE ARCHIVES for more great dinner time ideas!